The ND4 filter for DJI Osmo Pocket from Freewell Gear helps to slow down the shutter speed by 2 f-stops. This is excellent for capturing crystal-clear photographs when the weather is overcast or fairly cloudy, with lower daylight. 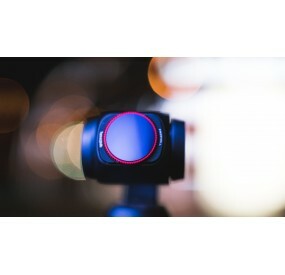 The Freewell Gear ND8 filter for DJI Osmo Pocket is designed to reduce the amount of light hitting the camera sensor, which slows down the camera’s shutter speed by 3 f-stops. This is extremely helpful in capturing realistic and sharp images, especially in cloudy daylight conditions. The ND8/PL hybrid filter from Freewell Gear is designed to restrict the amount of light entering the camera lens by 3 f-stops. It helps to capture sharp and more precise images even in bright sunny conditions outside. 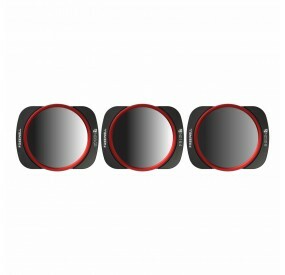 It also helps to prevent unwanted glare from marring the quality of your footage or photograph. The ND16 filter for DJI Osmo Pocket from Freewell Gear decreases the amount of light entering the camera lens by 4 f-stops. This helps balance the image correctly and capture sharp footage in normal daylight conditions. Apart from slowing down your shutter speed, the ND filters are also useful in avoiding the unwanted ‘jell-o’ effect which is often seen in footages captured without ND filters. The ND16/PL hybrid filter from Freewell Gear is meant to reduce the amount of light hitting the camera sensor by 4 f-stops. This helps to capture well-balanced and cinematic images in very bright sunlight conditions, especially in the afternoon and early morning. 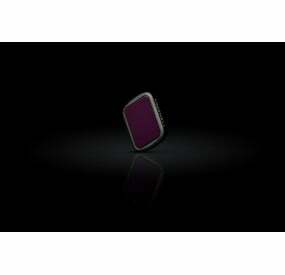 The filter also protects from unwanted reflections of windows or water bodies. The ND32/PL filter from Freewell Gear is an excellent way to decrease the drone camera’s shutter speed by 5 f-stops, thus slowing down the shutter speed effectively. This helps to capture sharp and vividly colorful images, in the brightest sunlit conditions. With this filter, you can also capture the much-desired ‘motion blur’ effect which gives your footages a genuinely cinematic look, apart from protecting your images against unwanted glare from natural surfaces which reflect light. 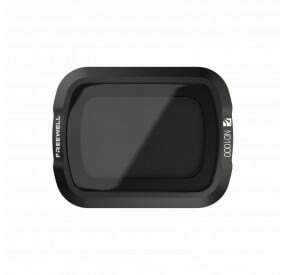 Freewell ND64 filter for DJI Osmo Pocket - The ND64 filter from Freewell is ideally suited for very bright and sunny daylight conditions. The filter cuts light falling on the sensor by 6 f-stops which is immensely helpful to remove the ‘Jello’ effect seen due to the camera’s rolling shutter and give a natural blur motion to the footage. The Freewell Gear ND64/PL hybrid filter is useful for slowing down the camera shutter speed to its lowest. This is an excellent way to add the ‘motion blur’ effect which we dreamy. It is also effective in preventing unwanted reflections from windows, snow, water bodies, etc. from spoiling the image quality.